The black-ops government agency called Sigma broke Justin Delgado, trained his psionic talent and turned him into a killer. Then he escaped and joined the Society, an underground resistance movement of psions determined to use their talents to bring Sigma down. Competent, cold, and cruelly efficient, he’s the best operative the Society has, a legend among the psions who fight a shadow war against an enemy that owns the courts, the press, and the police. Feared even by his own teammates, hunted by the government, and too damaged to feel anything but clinical rage, he is utterly alone–until he meets Rowan. When Rowan Price stumbles across Delgado’s team in an abandoned house, he is assigned to make contact with her, bring her in, and keep her alive–because Rowan is one of the most powerful psychics the resistance has ever encountered. She possesses a talent that can heal shattered minds and broken bodies, or it can incite riots and revolution. If the government gets its hands on her, she could very well mean the downfall of the resistance, because nobody, not even Rowan, is quite sure how far her talents extend or how powerful she could eventually become. Twenty-four hours after she meets Delgado, her life is shattered and she’s on the run from Sigma. If Sigma can’t take her freedom, they’ll settle for her life. She is simply too powerful to be left alone. 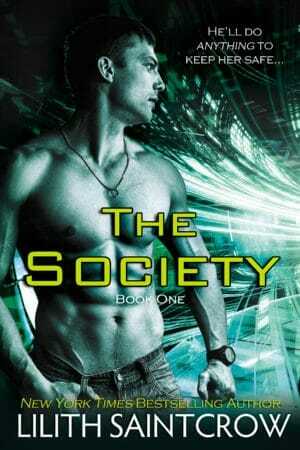 The Society will welcome Rowan, if she can stay alive long enough to join them.